... The entangling mechanism is called an exponential-SWAP gate. In the study, researchers demonstrated the new technology by deterministically entangling encoded states in any chosen configurations or codes, each housed in two otherwise isolated, 3-D superconducting microwave cavities. Salvatore Cezar Pais is listed as the inventor on the Navy's patent applicationmade public by the U.S. Patent and Trademark Office on Thursday. 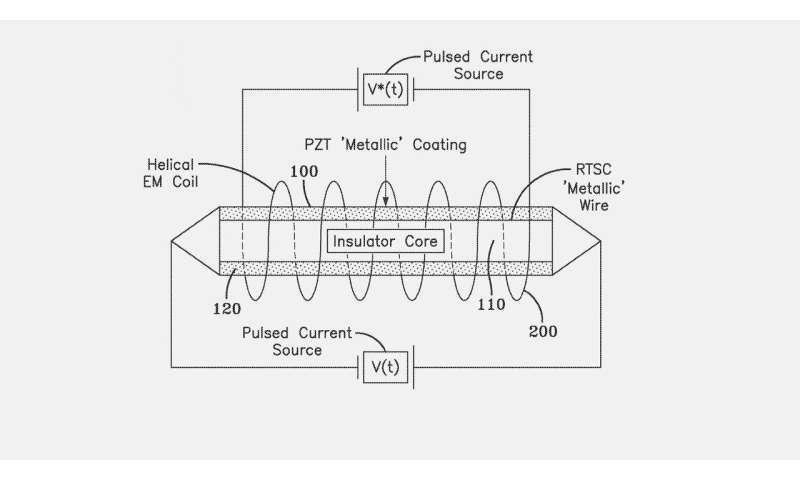 "This concept enables the transmission of electrical power without any losses and exhibits optimal thermal management (no heat dissipation)," according to the patent document, "which leads to the design and development of novel energy generation and harvesting devices with enormous benefits to civilization." There are dozens of textbooks that cover an introduction of this topic. Michael Nielsen and Isaac Chuang authored Quantum Computation and Quantum Information back in 2000, which has been updated and is now in its third printing. This text has been used for both graduate and undergraduate courses. Universities such as MIT, Caltech, Berkeley and UT Austin all have graduate and undergraduate courses specifically on quantum computing. While one can search to find locations where it is taught, it is not yet mainstream in computer science curricula. When it is offered, it is often as a special topics course. However, this is changing. MIT x-Pro offers an excellent online introductory course to quantum computing taught by MIT quantum professors Isaac Chuang, Aram Harrow, William Oliver and Peter Shor. Krysta Svore, leads the Quantum – Redmond (QuArC) group at Microsoft Research. She also teaches an undergraduate course entitled “Intro to Quantum Computing” at nearby University of Washington. She shared with me this week that she even has freshmen successfully taking the course. D-wave posted on Twitter on Feb 21st showing pictures of an amazing 11-year old boy who attended their quantum programming class and programmed in Python a quantum program to solve the MAX 2-SAT, a classic optimization problem. The NQIA authorizes $1.2 billion over five years for federal activities to increase investment in quantum information science, and specifically supporting the development of a quantum-smart workforce. The law also establishes a National Quantum Coordination Office and creates an advisory committee to advise the White House on quantum computing. ... Restricted Boltzmann Machines (RBMs), a simple type of artificial neural network, can be used to compute with extremely high accuracy the ground-state energy of quantum systems of many particles. Some trajectories of a harmonic oscillatoraccording to Newton's laws of classical mechanics(A–B), and according to the Schrödinger equation of quantum mechanics (C–H). In A–B, the particle (represented as a ball attached to a spring) oscillates back and forth. In C–H, some solutions to the Schrödinger Equation are shown, where the horizontal axis is position, and the vertical axis is the real part (blue) or imaginary part (red) of the wavefunction. C, D, E, F, but not G, H, are energy eigenstates. H is a coherent state—a quantum state that approximates the classical trajectory. What does Schrödinger equation say? Hot debates over the past decade were devoted to the question whether the process will stop because the effective strength of interaction becomes too low, or not. ... quantum particles continue to spread even when particle to particle interactions originally deemed to be the activator of the spreading, exert almost no strength.